For a single second there is silence before the whistle sounds, the players take form, and the court is engulfed in intensity, with the most strategic and elaborate game of tag being played within the space of six minutes. 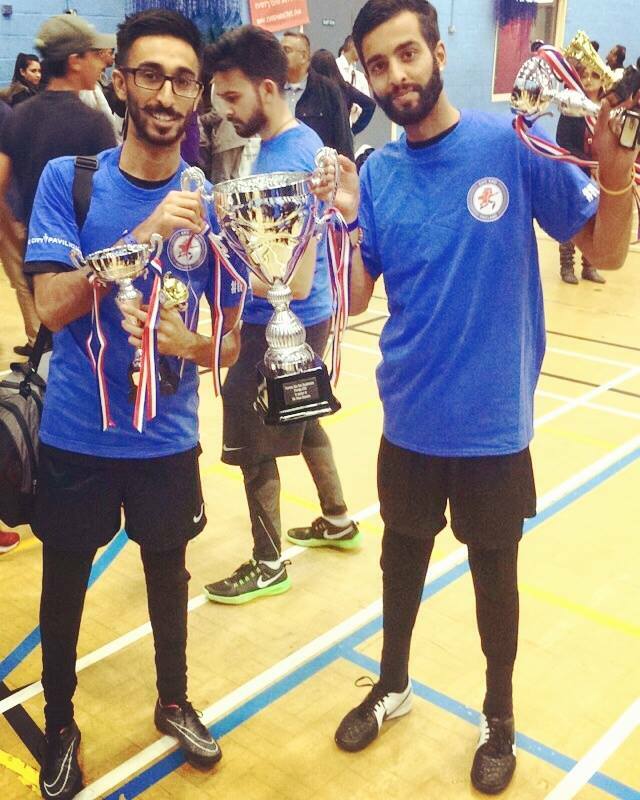 It was on Sunday 15th November 2015, that 120 ambitious and talented Kho Kho players from across England came to face their first national tournament organised by the Kho Kho Federation of England (KKFE) at Harrow Leisure Centre, with Finchley Shakha being crowned the national champions and Wembley Mandhata the runners-up. The teams also competing on the day included Leicester Mandhata, Kingston University, East London Shakha, Oshwal North, Wembley Mandhata Youth, Wembley Shakha, Sishukunj 1 and Sishukunj 2. The day commenced with an opening ceremony that welcomed the players and their supporters to the games and included speeches from members of the KKFE committee. The committee spoke of the sport’s ability to bring people together, and asked their many spectators to share the day’s events and show their recognition of a sport rooted deep within the Mahabharata (an epic narrative from ancient India), to the rest of the country through Facebook and Instagram. For the next six hours, the court echoed with enthused chants and cheers, as players from each team competed fiercely, diving and swerving their way through each round, whilst their spectators waited anxiously from the viewing galleries. With six minutes on the clock, each team demonstrated stamina and swift thinking, anticipating their opponents next move and dodging tags from all directions, with the referees observing every detail and gradually eliminating each team until only four remained in the semi-finals: Leicester Mandhata, Oshwal North, Wembley Mandhata and Finchley Shakha. 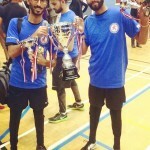 The vibrant atmosphere reached its peak as Leicester Mandhata came in at third after beating Oshwal North in the semi-finals, leaving Wembley Mandhata and Finchley Shaka in the battle for first place. With tensions running high, sharp footwork on display and careful judging from members of the KKFE committee, the first innings came in at a draw of 6-6 and the match was extended by a Super Innings, with the first three runners from both teams having to enter the court once more. From here, the match rigorously put the speed and agility of each player head to head, with the team who took the quickest time to tag one runner being the eventual successors. It was at the final sound of the whistle, Finchley Shakha ecstatically dominated the court with their chants and celebrations, taking their place as worthy winners and proving their passion for the sport.